It’s great news to see that people who were not affected by the recent wild weather events have begun returning their cards for Homes CARE assistance. That’s why the crowds that used to flood the processing centres have significantly reduced. They have had second thoughts and decided it was not worth it because their reputations, their families, their cultural roots are at stake. They have realised that what they did to apply for assistance was wrong. Those that have not come forward still have time left. Let’s hope when the amnesty period ends, there is no one to prosecute. This experience raises an interesting issue about listening to those that spread misinformation. Misinformation’s destructive influence affects many people who get easily misled because the message may sound good, but not necessarily true or factual. 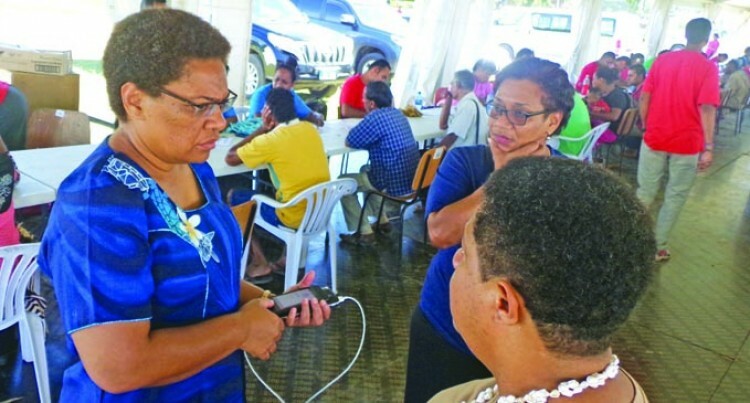 When the message is popular, it spreads like wildfire, like the false message that got a big crowd turning up at Shirley Park, Lautoka. While those who spread lies ought to be taken to task, the onus is also on everyone to make sure they don’t get easily misled. I have said before and I will repeat it, that it is important that we verify everything we hear, particularly on social media. Otherwise we will get disappointed or hurt again. The other issue I would like to address is seeking assistance. There are those among us who are poor, destitute, physically disabled, elderly, sick and mentally challenged. There are others who have suffered from natural disasters. All these people need help and should get help because of their personal circumstances. That’s why they receive Government assistance. There is a group that wants to develop and grow a business, but does not have the means or resources to do it. Government has reached out to them to help them become self reliant and independent. Let’s teach our people that it is better to become self reliant. When we become self reliant, we restore self confidence, build character and integrity. The next time the Government rolls out Homes CARE, only those who are eligible respond. When we are self reliant we are in a position of strength, on a higher ground. At this point it is easy to lift someone in distress or in need of help, because we have the capacity to do it. We need to discourage the handout mentality, when people expect the Government to help them all the time. For able-bodied people who can work and earn an income, they should be gainfully employed or get educated and trained to secure a skilled job. There is no excuse. We have many role models in our communities. Take for example Kamlesh Prasad Maharaj who left school as a teenager because of financial difficulties. He did not wander the streets aimlessly. He helped the family plant rice. He wanted to become a businessman. He worked hard, he helped the family buy a house and their first taxi. Today he owns four taxis, three rental flats and the house he lives in with his family. He had a dream. Then he had a desire which kept him focused on his goal.